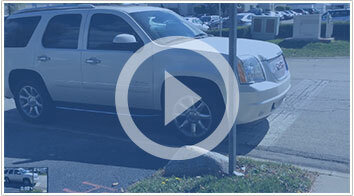 There are two types of car shipping methods used by our customers. The most common car shipping method is Open Car Shipping. During Open Car Shipping a vehicle is transported using an open car trailer. This car shipping method is used by 85% of our customers. It use extremely popular because it is affordable, quick and most of all safe. The second type of car shipping that is extremely popular is Enclosed Car Transport. This is when a company uses a custom build enclosed trailer to ship vehicles. This trailer is unique because it is fully enclosed from all sides keeping the vehicles inside untouched by all possible hazards of the road. This service is usually used when shipping vehicles that are unique and extremely high in value. This method guarantees our customers that their vehicle will not be touched even by a drop of rain while in transit. Our enclosed trailers protect the vehicles inside them in every aspect and guarantee they arrive without a scratch! This type of car shipping requires special care as well as much more advanced equipment, therefore, it costs a little more than Open Car Shipping. In the end the final decision is made by the customer. If you want to ship your vehicle and you are on a tight budget Open Car Shipping is the best option for you. This option is 100% safe and guarantees you that your vehicle will be delivered in the same condition as it was when it was picked up. Every vehicle shipped with Van 3 Auto Transport is fully insured while it is in our possession so if an accident ever occurs your are 100% safe. If you are a lucky owner of a rare or unique vehicle, or you just love your car and want to make sure that not a single drop of rain, snow, or dust gets anywhere near it while in transit, then Enclosed Car Transport is the best car shipping method for you. At Van 3 Auto Transport we like to make sure that our customers are 100% satisfied with the shipping method that they use. Whatever method you choose Van 3 Auto Transport will be there to make your next move your best move! This entry was written by admin, posted on Wednesday, September 11, 2013 Bookmark the permalink.